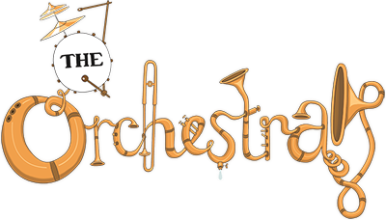 The Orchestra is a hand drawn short animation directed by award-winning Australian director and animator Mikey Hill. Imagine a world where a band of tiny musicians follow you and play a soundtrack for your life – communicating your emotions, fears and hopes. In this world lives elderly Vernon; a lonely man whose crippling shyness causes his orchestral musicians to perform terribly out of tune. When Vernon and his little band fall for their new next door neighbour and her classical ensemble, they find themselves presented with perhaps their last chance at happiness - a chance to strike a chord and play in harmony. But first they must confront their stage fright. The incredibly complex and amazing score was composed by Jamie Messenger. Produced by Feather Films Pty Ltd and financed by Screen Australia. For sales and distribution, please contact Annabel Sebag at Autour De Minuit.